We have teamed up with some amazing lenders to help offer 1st-time home owners extra savings on their down payment and closings costs, in addition to down payment assistance programs. 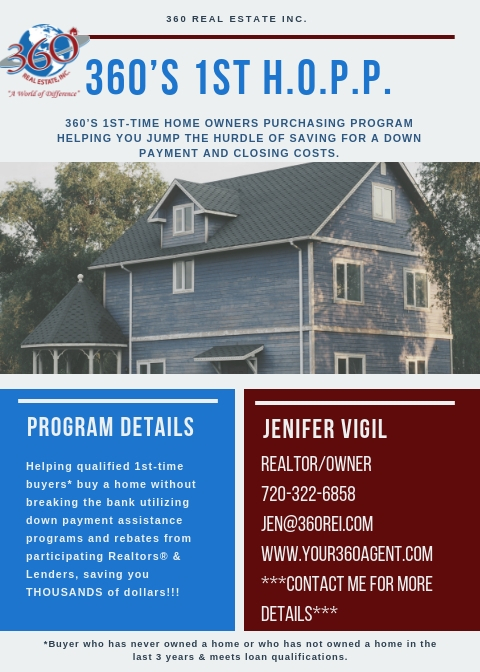 If you are trying to buy a home now, this year, or anytime in the future but do not have thousands of dollars saved, we can help you overcome that hurdle. Our participating Realtors® are contributing up to 25% of their commission to help you lower your closing costs. Our lenders are throwing in something extra as well including other credits and the technology to try and close faster to give you an advantage when competing against other offers! Between our program and the down payment assistance programs that are available, we can lower your cash contribution by THOUSANDS of dollars!! Our goal is to give a little to help you accomplish your dream of owning a home! For example, a home with a purchase price of $350,000 using an FHA loan could require you to have about $19,550 for the down payment, closing costs, appraisal & inspection. Buyers that qualify for down payment assistance programs could save about $10,500 leaving $9,050 left for you to worry about. However, with our program and the contributions from our participating Realtors®, Lenders & Vendors you can save an additional $4150 leaving less than $5000 needed from you to buy a home! That’s a savings of almost 75%!! We are here to help you get on the right path to owning a home! Whether you need help with the financial aspects, bettering your credit or you’re just not sure where to start, you can contact us to help you start the dream of becoming a home owner! We have many participating partners in our program that will offer discounts to our H.O.P.P. clients. For a complete list of participating partners and their discounts please see bottom of page. ***First time home owner is defined as someone never owning a home, or someone who has not owned a home in the last 3 years. Participating lender credits may vary and require final approval. Realtor’s® contribution will vary depending on co-op commission offered by seller and is based on 2.8% in the example given. Synergy Credit Pros Andrew Nuntapreda Startup Fee is $99(originally $129) with monthly fee of $89(originally $99) Contact them at 713-422-2030 or visit their website at www.SynergyCreditPros.com and mention 360’s 1st H.O.P.P.